You'll be £8.50 closer to your next £10.00 credit when you purchase Tracing Your Yorkshire Ancestors. What's this? 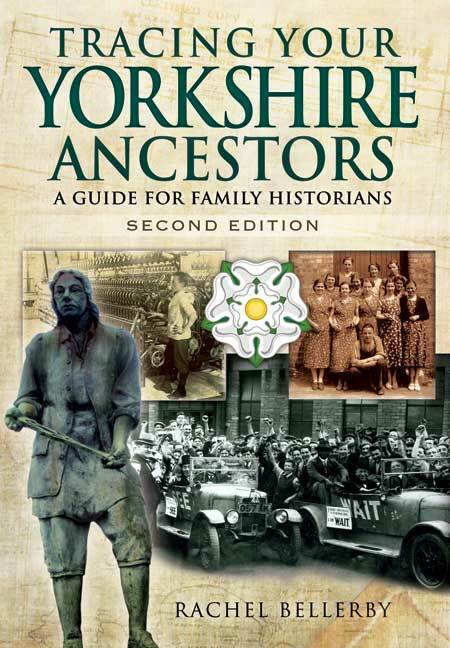 This fully revised second edition of Rachel Bellerby's best-selling guide is essential reading if you want to find out about your Yorkshire ancestors. As well as tracing when your ancestors were born, married and died, she shows you how can explore how they lived, worked and spent their leisure time. She introduces readers to the many sources that hold a wealth of information about Yorkshire's past, and describes the records you can find in archives and online which will bring your research to life. Whatever you would like to discover more about, from fairground travellers to Romany gypsies, from working deep underground in a mine to making a living from the North Sea, there is so much to learn. The many different archives that welcome family history researchers are explored here and explained. A new chapter covering the growing number of Yorkshire family history websites has been added along with a range of new illustrations. The contact details of the sources listed in the first edition of the book have been revised and new sources and relevant organizations have been added. Dozens of places, from tiny museum archives to large research centres, are open for your research, and a wealth of information is now accessible through the internet. Tracing your Yorkshire ancestors has never been more exciting. The second edition of a best-selling book and that in itself tells us about its value. It is wide-ranging and often imaginative, particularly praiseworthy in highlighting some unusual and little-known archives, and it has a wealth of useful information. As a first-stage guide and introduction to tracing your Yorkshire forebears and, especially, to learning about the likely whereabouts of the sources you will need, it works very well indeed.